It has, without a doubt, been one of the most busiest times of my own personal recorded history. I have so much material from this years Comic convention, I am not sure where to start. Tomorrow we will be driving back home. It is a 4 hour drive home mind you. Once we are home, Kim and I will be going through all our material and divide the workload. We will be uploading our material in spurs (We have work on Monday still to return to). Rest assure we do have a lot of treat for you guys. Interviews with Comic book artist, authors, musicians, celebs and the wonderful cos-players that we’ve met over the weekend. We have video, audio and pictures. Tons and tons of pictures. So many as a matter of fact that I spend about 5 hours sorting them into “usable” and un-usable” piles. It is however very late again and I need to get some sleep. My auntie lives in Chicago and I would very much love to spend some time with her awake and alert, rather then a walking corpse. 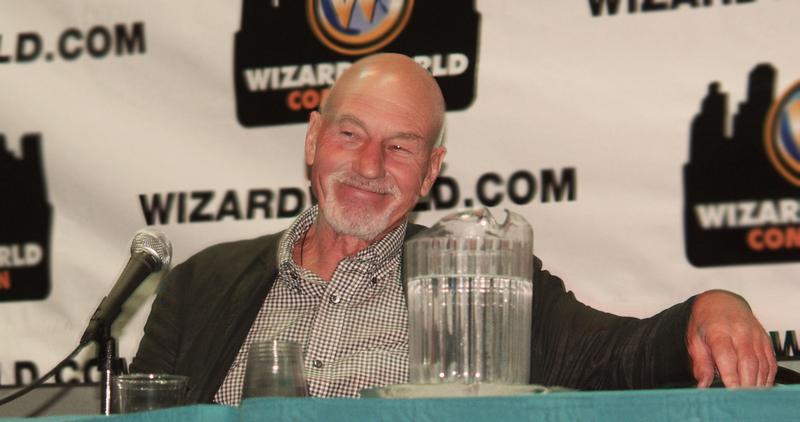 I’ll leave you for now with this wonderful picture of Sir Patrick Stewart.